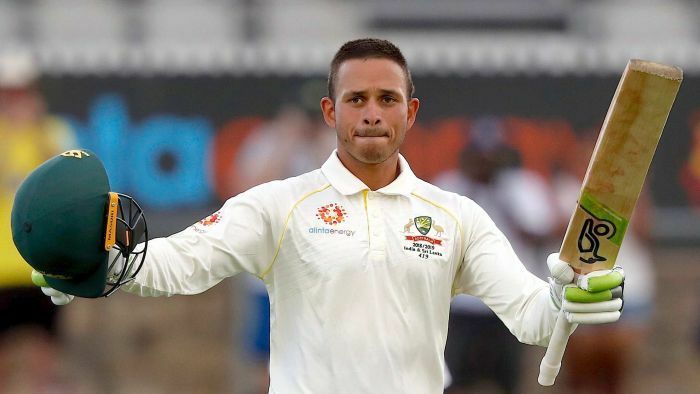 Usman Khawaja has admitted his brother’s arrest as part of an investigation into a notebook allegedly outlining plans to kill senior politicians has been weighing heavily on his mind during a form slump on the cricket field. Arsalan Khawaja was charged with perverting the course of justice and forgery making a document, after an alleged terror hit list was found including Malcolm Turnbull’s name, which led to the arrest of a UNSW employee. Arsalan Khawaja was granted bail before being re-arrested and charged with attempting to influence a witness. The initial charges were filed in early December, just as Usman Khawaja was preparing for the first Test of the summer against India. In an inexperienced batting line-up, Khawaja was supposed to be the guiding light, with his 35 Test caps easily eclipsing anyone else in the top six. He was also coming off a brilliant couple of innings against Pakistan in the UAE, which included a match-saving knock of 141 in the first game. At that time it was Australia’s only Test ton since the Ashes. But as the series against India wore on, Khawaja could not recapture his form, scoring just 198 runs across eight innings, with only one half-century. He started the two-Test series against Sri Lanka in a similar vein, with 11 and 0 at the Gabba and the first innings at Manuka Oval, before breaking the shackles with 101 not out in the second dig. After the day-three century, Khawaja admitted how much he had struggled focusing amid everything going on off the field. “It’s been tough. It’s something you don’t expect to happen,” he said. “My family’s very close to me and I’m very close to my family, so at some level I think it made it tougher to just go out and try to concentrate and execute my skills. Khawaja credited wife Rachel with helping him overcome his struggles. “Just being around and trying to take my mind off things,” he said. The spotlight on Khawaja’s search for runs has been intensified by a lean stretch for the rest of the team, with no centuries scored by an Australian batsman until four came in a rush in Canberra. But a horrible situation off the field could not be considered the only reason for the 41-Test veteran’s difficulties with the bat. He was also recovering from a torn ACL that saw him miss a long stretch between October’s Tests in the UAE and the home series against India and Sri Lanka. He said he was feeling OK physically on his return, but it was a battle to regain the form he had created overseas. “I still felt alright, but I felt like I lost a little bit of momentum in those six weeks I was out,” he said. On the subject of not looking too far ahead, Australia still needs 10 wickets on Monday and/or Tuesday to secure victory against Sri Lanka, after Khawaja’s ton helped the team build a lead that sat at 498 runs after day three.